Apple revolutionizes computer operating system pricing. OS X Mavericks is available today for free on the Mac App Store. 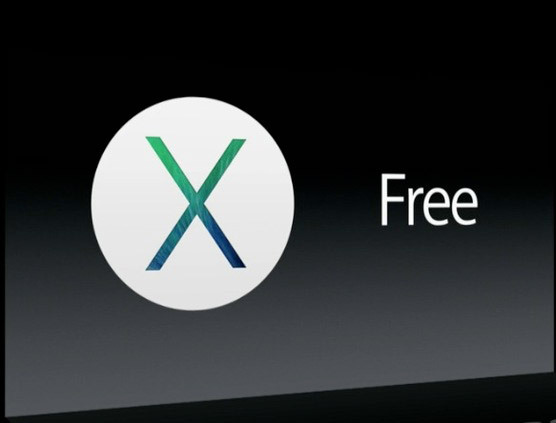 At today’s “a lot to cover” event, Apple “revolutionizes pricing”: OS X Mavericks is free. Release date for OS X 10.9 Mavericks is today, October 22, 2013. Using OS X Mavericks? Update to 10.9.2 now! This entry was posted on Tuesday, October 22nd, 2013 at 1:32 pm	and is filed under Mac. You can follow any responses to this entry through the RSS 2.0 feed.